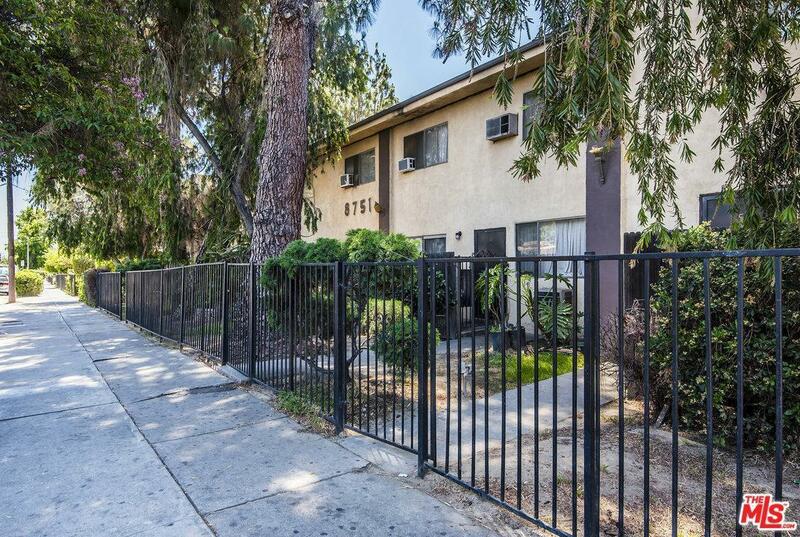 Huge lot and fantastic mix of 31, 2bed/1.5 bath large townhouses, 2 large one level 2 bed /1.5 units and 3, 1/1 units. The two front buildings are all townhouse units; all have two bedrooms, one full bath (upstairs) & ~ bath (downstairs). Most have private patios (approx. 5'X10') The back building is shaped like a big U, the bottom of the U, above the back carport, are five one level units. The two units #30 & #33 on each corner are the largest two bedroom units, with an approx. 10'X 10' walk-in closet, one and ~ bath, unit #30 has a large balcony. In between these largest units, are three large 1-bed 1-bath units #28, #29 & #34. On the sides of the U, are all townhouse units, two bedrooms, one full bath upstairs and ~ bath downstairs. These have private patios (approx. 5'X10'). Additional Carport in rear. Courtyard, Laundry, A/C. Near North Hills community Park, Langdon Ave Elementary, Our Lady of Peace School, and Mission City Community Clinic. No repairs No credits No termite work.